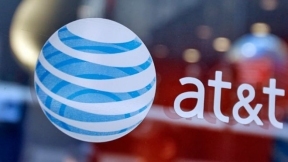 AT&T is kicking off the New Year with a new unlimited wireless data offer for its new and existing TV subscribers who like watching their favorite videos and TV shows almost everywhere. Beginning this week, new and existing AT&T consumer wireless customers who have or add AT&T DIRECTV® or AT&T U-Verse TV may get the new AT&T Unlimited Plan, offering customers more data to use for watching video, playing games and surfing the web on their mobile devices. The new AT&T Unlimited Plan includes unlimited data and unlimited talk and text. Customers can get the AT&T Unlimited Plan on a smartphone for $100 per month. Additional smartphones are $40 per month each, and a fourth smartphone can be added at no additional cost. The new AT&T Unlimited Plan is the first of many integrated video and mobility offers the company plans to announce in 2016. If you are a new or existing DIRECTV or U-Verse TV subscriber but not an AT&T wireless subscriber, for a limited time, you can receive $500 in credits when you switch to the AT&T Unlimited Plan with an eligible trade-in, and buy a smartphone on AT&T NextSM. And, if you are an AT&T wireless customer, but not a DIRECTV subscriber, you can add a TV package beginning at $19.99 per month for 12 months, with a 24 month agreement. Additional data and other restrictions apply. See att.com/unlimitedplan for details.